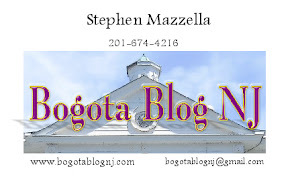 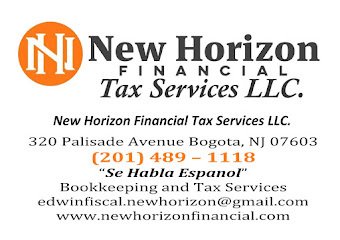 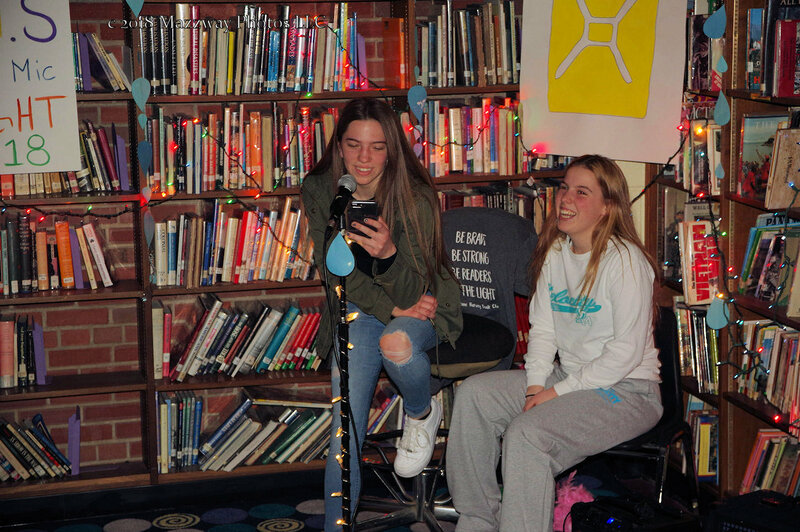 On Friday-16-March there was an Open Mic in the Bogota High School Library. 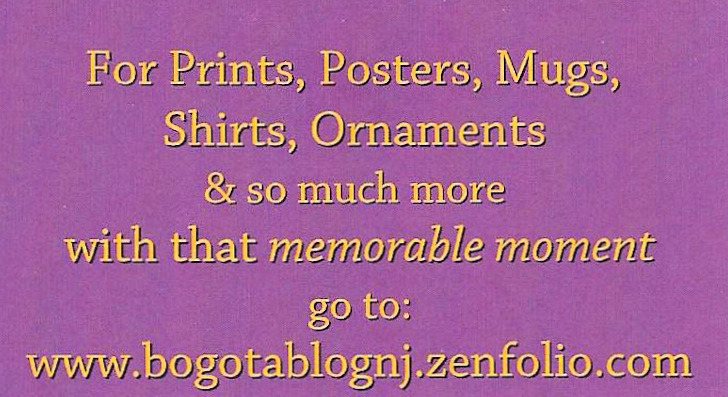 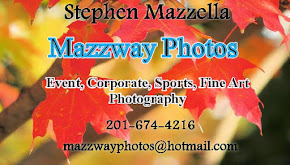 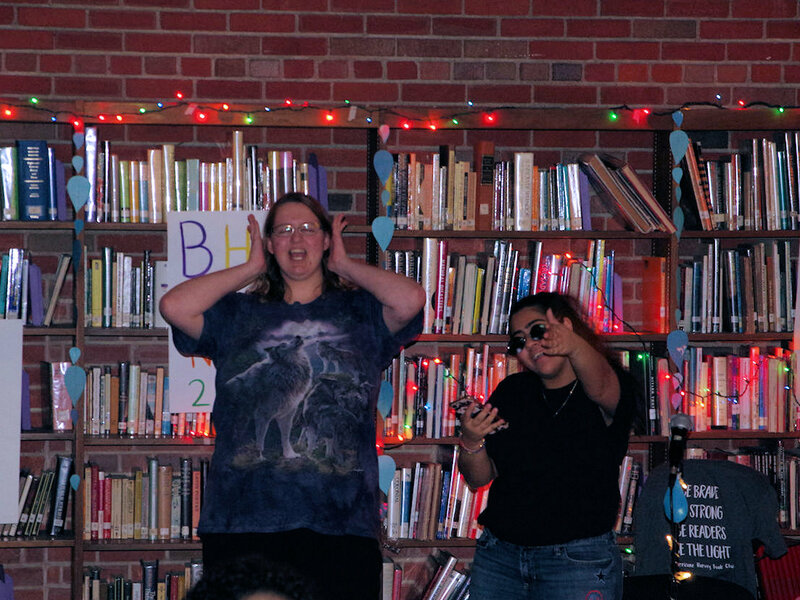 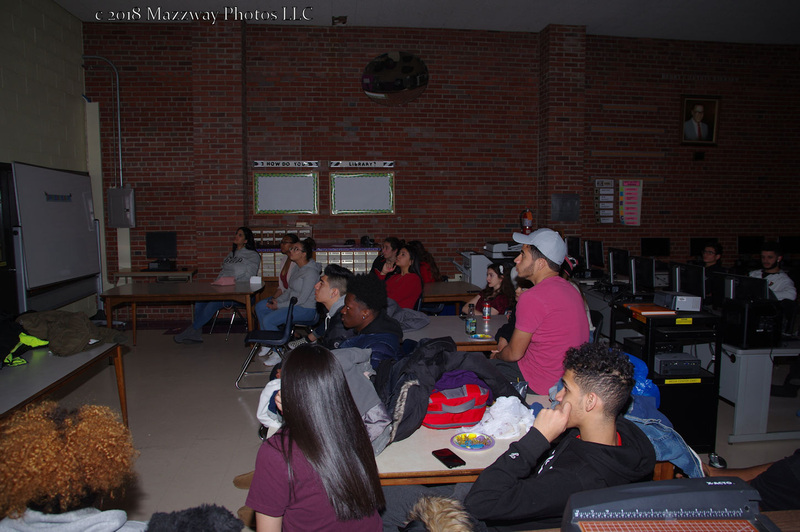 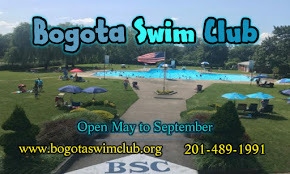 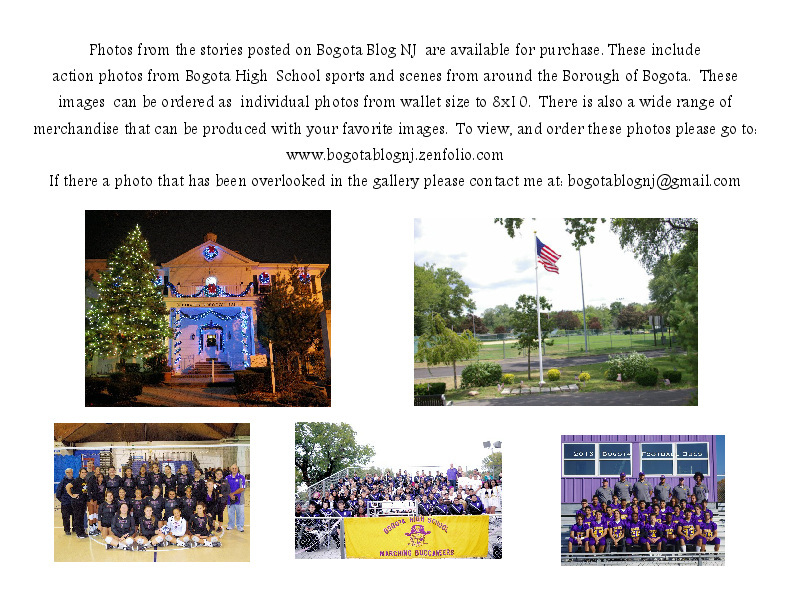 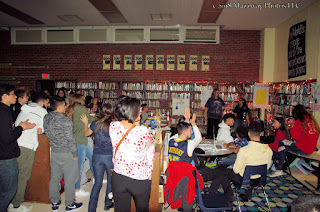 This was a fundraiser, organized by Language Arts teacher Ms. Glynis Corso. 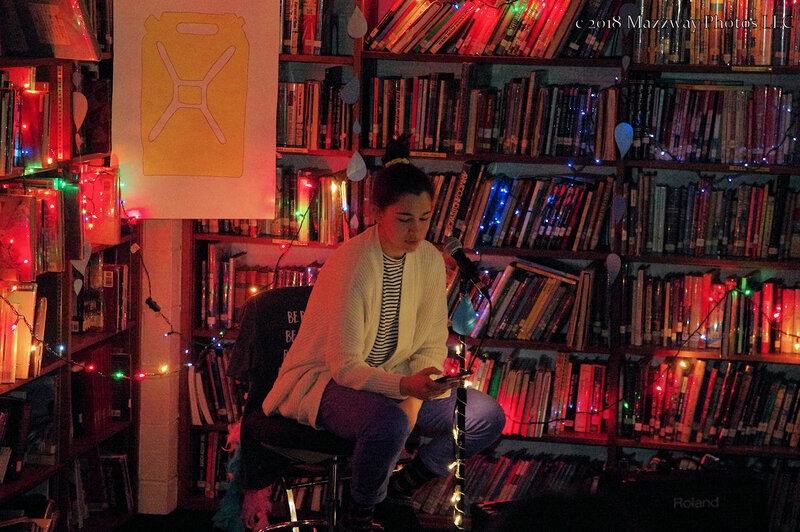 Proceeds from this event will go to Charitywater.org which is a non-profit organization bringing clean and safe drinking water to people in developing countries. 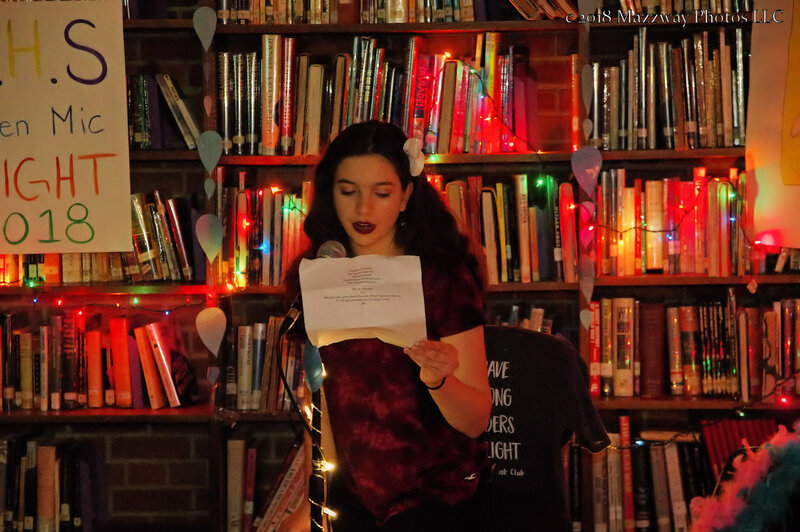 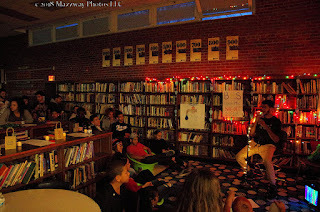 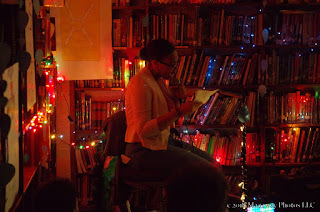 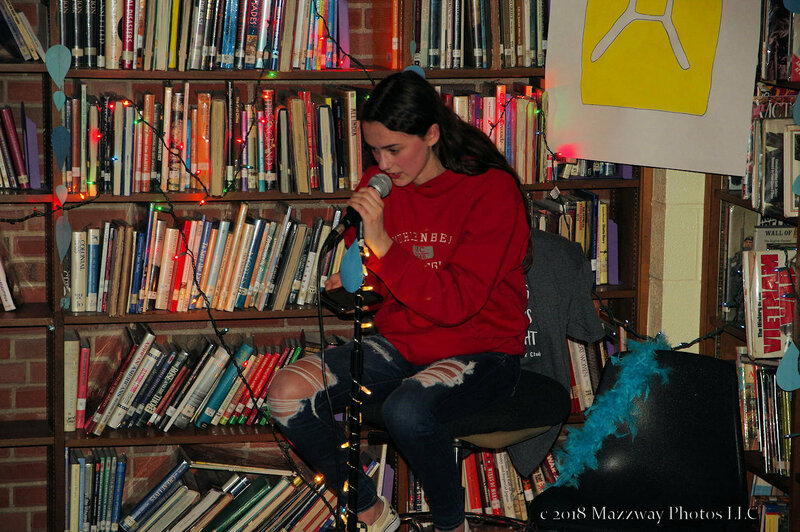 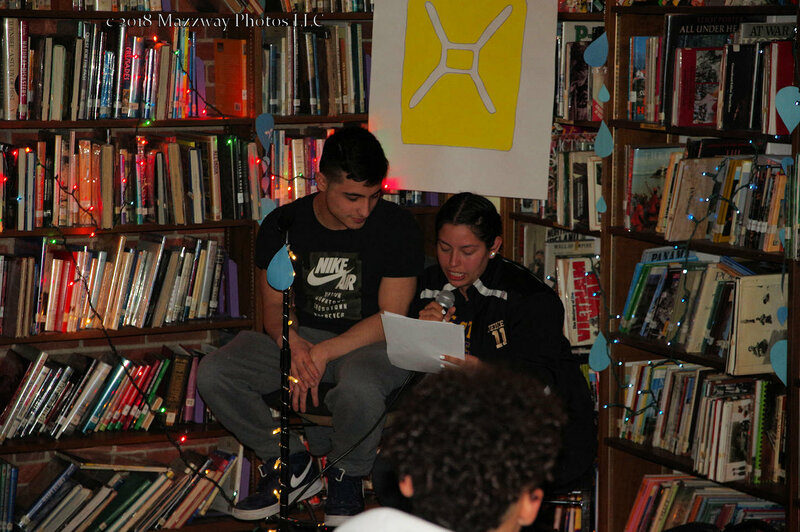 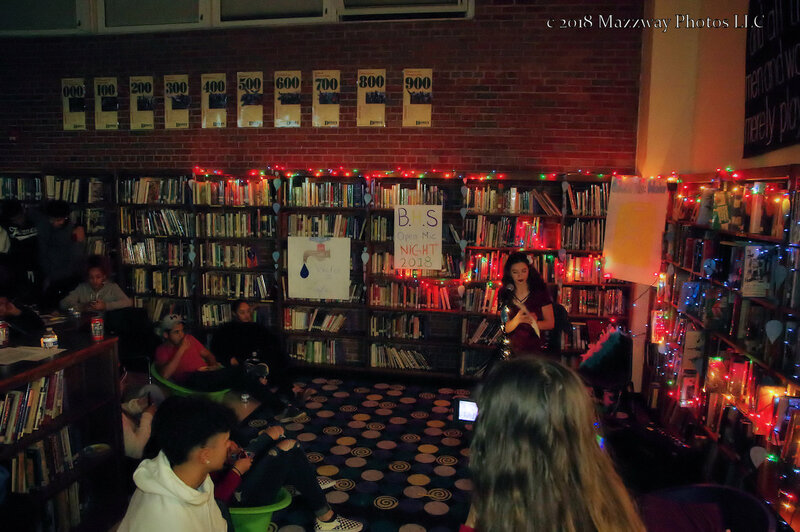 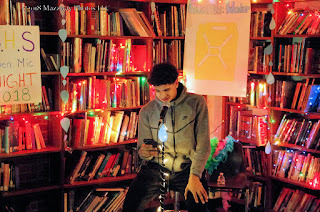 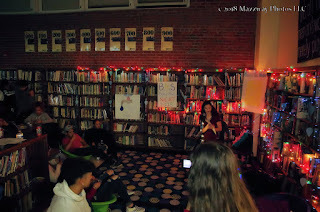 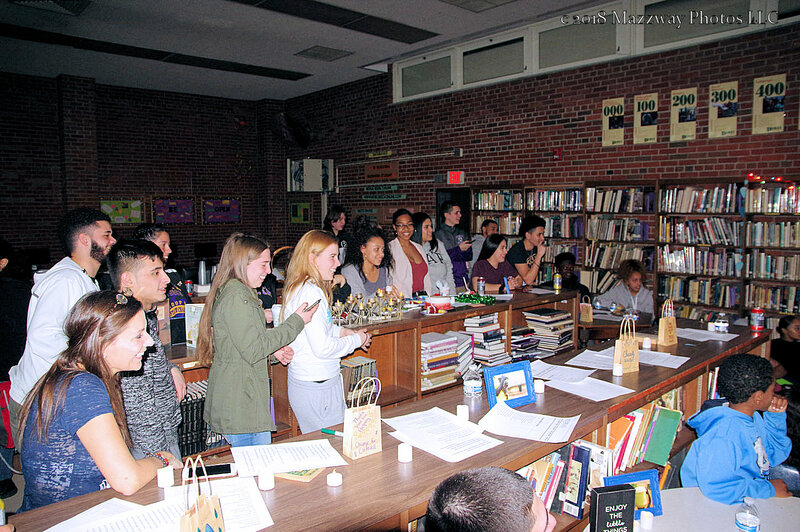 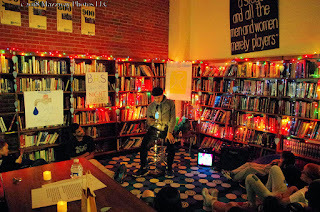 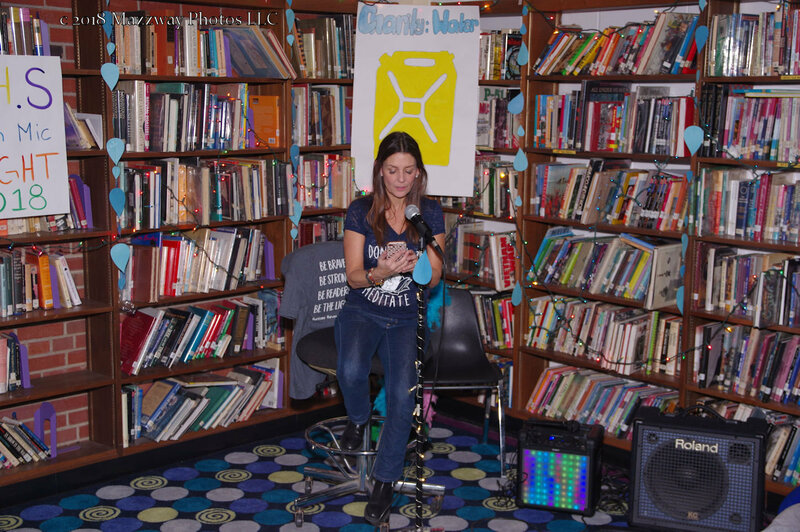 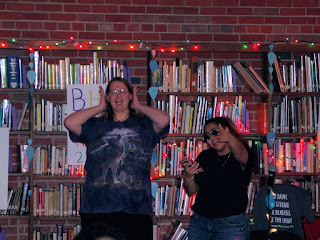 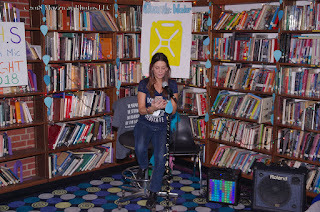 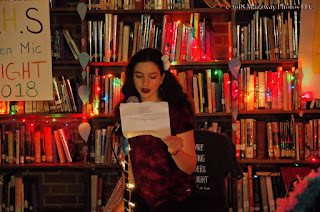 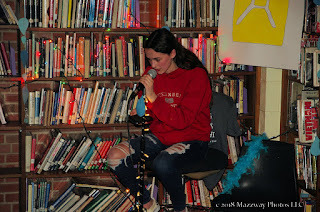 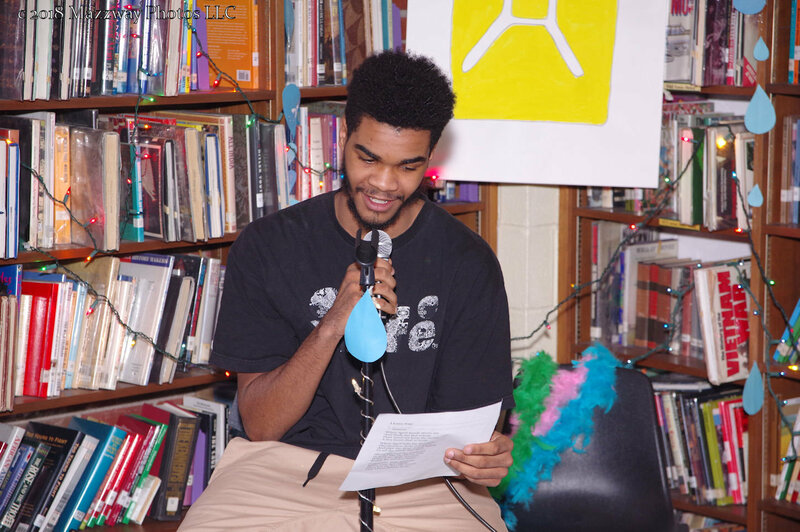 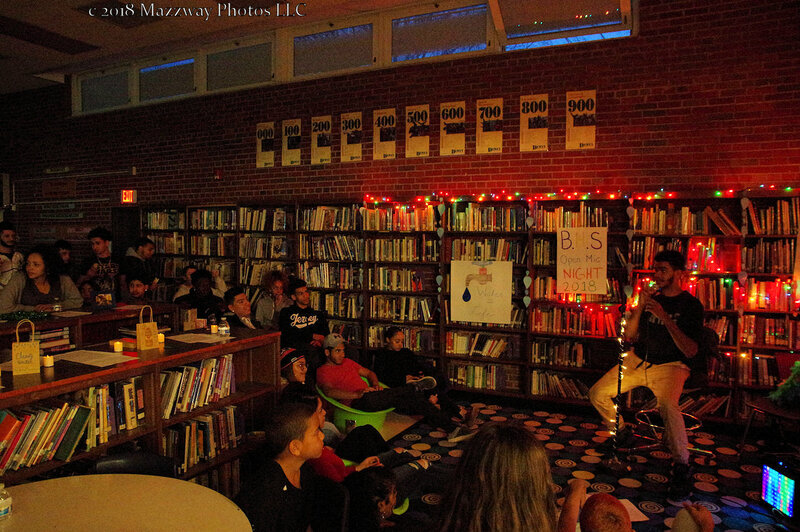 The Students turned the Library into an intimate Cabernet space where everyone was welcomed to read poetry, sing, perform, and even try and tell a few jokes. 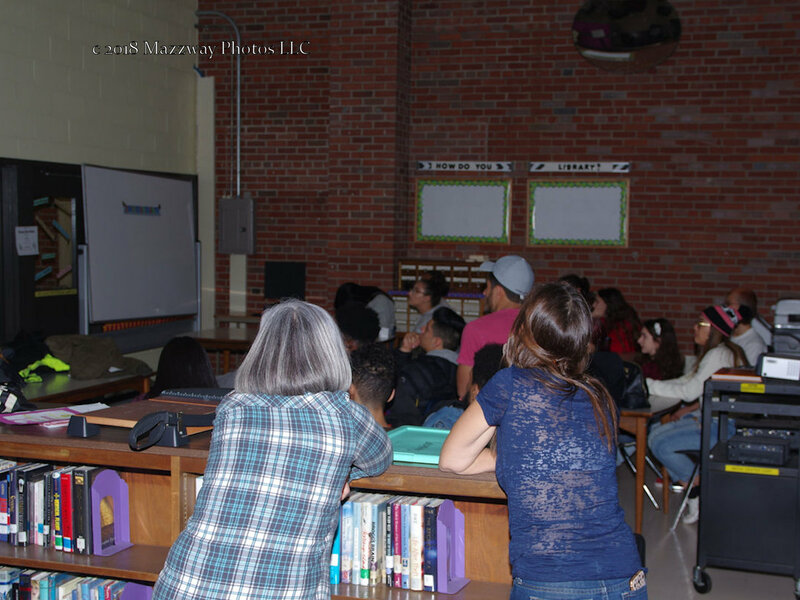 Before the performances started their was a brief video presentation on the water and goals of Charity Water.org. 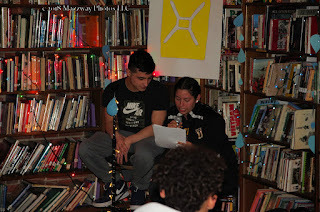 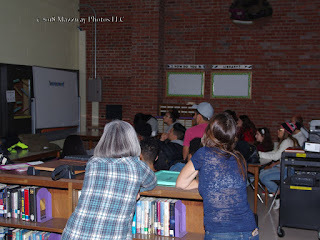 Then the Student showed of their talents, thoughts, and feeling with the audience. 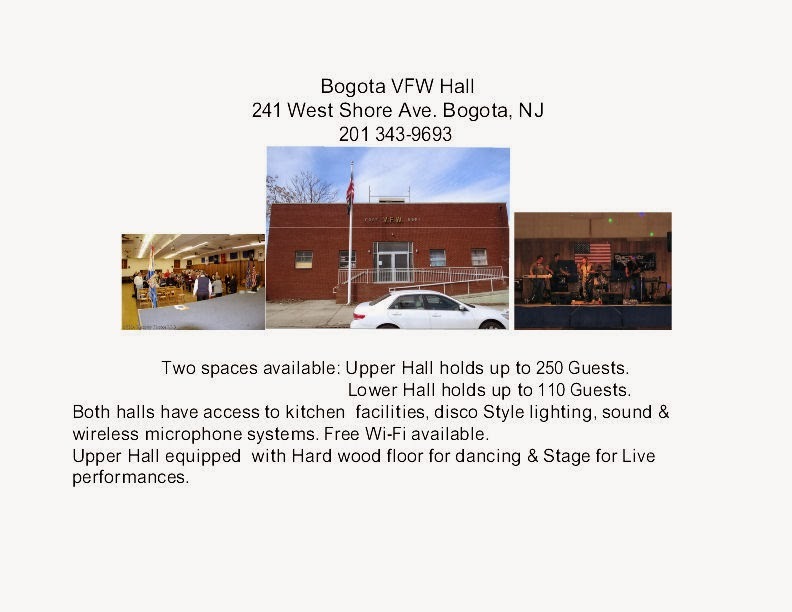 There was one pause in the entertainment to celebrate a pair of birthday's then evening continued with the performers and audience sharing time together in order to help others.